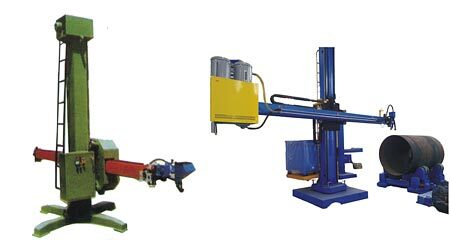 Our clients can avail from us, a comprehensive range of Column Boom, Welding Column Boom & Column Boom Manipulators , which are designed to work in conjunction with rotating and positioning equipments. Playing an active role in Cutting Machine Installations, Semi-Automatic Welding Installations and supporting Grinding Heads, these are procured from the certified vendors, who manufacture them using premium quality raw material. Column & Booms facilitate easy processing and reduce production time. This consist of one motorized unit and one idle machine. Running principle: electromagnet step less motor (or the regular AC motor)----first worm speed reducer-----second worm speed reducer----semi-tooth coupling----gear wheel----four driving rollers. For small workpiece, 2 wheels load, For bigger one, 4 wheels load. It adjust with work piece of different sizes by self aligned rollers automatically. We have come up with an extensive range of Self Centring Type Align Rotators that are manufactured from two units including driving wheels and free wheels. 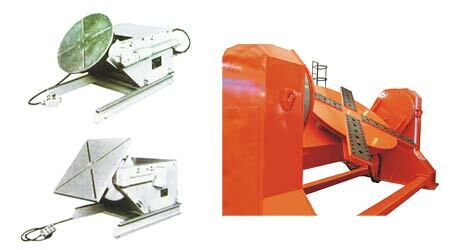 The main frame of rotator of Self Centring Type is fabricated from solid plate. 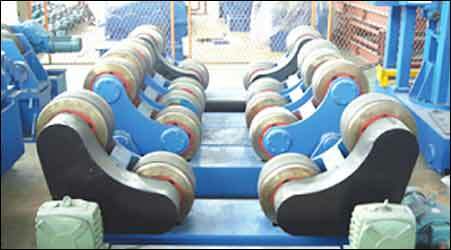 These kinds of rotators are widely used for cutting, coloring, welding and positioning purposes. 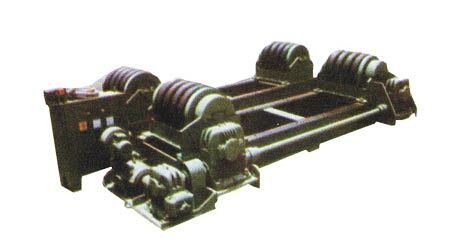 Our clients can avail these types of rotators at most nominal prices. 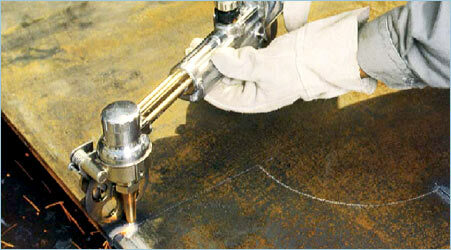 To position any kind of job at a suitable welding position. Suitable for different type, size & weight of the jobs. From 50 kg to 5000 kg. with dia of 50 mm to 2000mm . We have a wide range of proeduct. All types of cutting in any shape possible. Handles straight line, bevel, circle and shape, by simply rotating the wheel provided at the side of the torch. Convenient all position drive attachments allow cutting from any position in any direction. Heavy duty stainless steel is used for Handy Auto drive parts and accessories. The positive drive includes universal joints for smooth power transmission and for added protection. Handy Auto can be set up for all types of applications with quick change attachments. Simple one hand change over is easily and quickly accomplished. Handy Autos drive switch is linked to the cutting oxygen value causing simultaneous operation of cutting oxygen and drive power. Light weight 2.7Kgs. (5.9lbs), the Handy Auto is as easy to use as a manual hand touch. Hoses are attached at an angle to help you balance the tool. Sale and long lasting Koike Series 100 tips supplied with each Handy Auto Koikes superior design and quality tips ensure fast, smooth cuts. All fuel gases may be used. Motor DC 12V, 7200 R.P.M. SSB TECHNOWELD make totally indigenous designed semi automatic sysytem for arcing of sugar mill rolls (also suitable for amny other critical applications). Supecially designed to suit rough & tough Indianworking conditions, User friendly, availability of spares & services make the machine most reliable. 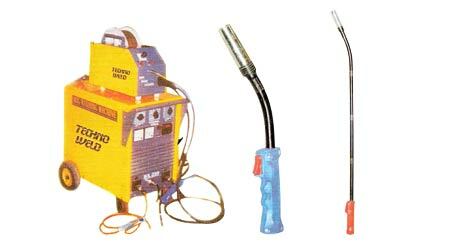 The complete equipment consists of (i) Power Sources (ii) Wire Feed Unit (iii) Arcing Guns. SSB TECHNOWELD Mdel SDX-600HD Power Source is specially designed for continuos trouble free working. Inout power supply 380-415 VAC, Phase-III, Hz-50, Provided with controls for ON/OFF, fine & course controll of current from front Pnale, fitted with Volt & Ampere Metre. Outer casing is electrostatic power coated, mounted on wheels. Unique design, Portable, Users friendly controls on the front panel as Wire speed, Inching, Gas check etc. for the ease of operator. Mounted on two wheels, outer casing is electrostatic power coated. Model -KL-9 : A light weight, heavy duty, ergonomically designed gun for arcing of sugar mill rolls, capable of arcing in DRY & WET conditions. Model -KL-100 : A specially designed, Gun with 1 mtz long neck is also available (for difficult to reach areas) for arcing of Feed Rolls during Crushing.